There never was an anti-filtering software called Haystack. It simply never existed, yet its advocate, Austin Heap, was sweeping awards and accolades one after another. There was no shortage of media attention for Austin Heap, it was the story of Emperor's Clothes all over again. So much so that Haystack even got exemption from US technology export ban to Iran. There is no hard evidence that Hossein Derakhshan, a blogger with strong connections to the regime, who constantly justified Ahmadinejad's administration and labelled Iranian opposition figures as Western stooges, is even in prison, yet the plight of the 'Blogfather' is all over the Western media. Five Western Human Rights organisations and advocators of free speech have called for Derakhshan's release, Article 19, CFJE, CPJ, Index on Censorship and PEN Canada. The true hero of Iran's struggle against internet censorship, Hossein Ronaghi Maleki, however is in dire condition. He has just received a 15 year prison sentence and is in his sixth day of hunger strike in protest against this unjust sentence. Branch 26 of the Revolutionary Court, presided by judge Mirabbas, issued the verdict. 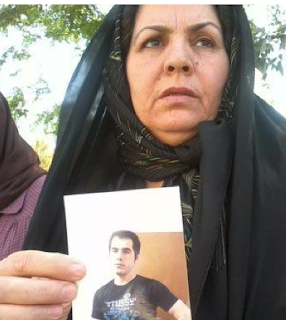 A court secretary by the name of Sattari orally served Ronaghi-Maleki the verdict.The judiciary officials told Ronaghi's mother, Zoleikha Moussavi, she should be grateful because her son's sentence should have been execution but they reduced it to a prison sentence and if he had co-operated and appeared on a television confesion it would have been further reduced. Yet there is nothing about Hossein Ronaghi Maleki in the Western media. To my knowledge no freedom of expression organisation or human rights organisation in the West is actively campaigning for Hossein Ronaghi Maleki's release. What do you have to do to get in the Western media and win awards? have a non-existent product or be a regime apologist?